If you find that the Websites are taking too much time to load, your Server may not be using HTTP/2. If you want to do away with problems faced with the Website loading, you have to upgrade to HTTP/2. There are many problems with the previous versions such as HTTP 1 and HTTP 1.1. The loading times were relatively quite slow. You will find it frustrating, using it. You have to keep real patience for the sites to load fully. The protocols that are used in HTTP 1.x are all text based. It is due to the fact; it was tried to make all the protocols readable by the humans. These give rise to many inefficiencies like white space and capitalization. The HTTP 1.x has the capacity to transfer only a single file at a time. This increases the time for the loading of the pages. The type of Web usage has gone for a complete change in the rent times. The Website sizes and the resources have also grown in number. Time taken for the loading of each resource takes longer than before. As, there are many numbers of connections, which are needed to be made; there is a heavy load on the Server. The combined time requirement for making connections becomes quite large. The use of HTTP/2 is very effective in the fast loading of the Websites. Here are the ways in which the problems are solved. The protocols are made in a manner that it would be understood by the machines and not human beings. It is no more text-based. It follows the binary code and more efficient for the Server functioning. Data transfer becomes much faster. All the resources can be moved on a single connection. This makes the process faster. In the HTTP 1.x version, the Web Browser is responsible for asking the Server about the resource requirements. In the HTTP/2 version, the Server knows about the resources that are to be sent to the Server. This again hastens up the entire process. HTTP packet header improves and other betterments are designed, which helps in the better data transfer process. There is not much trouble to be faced for the enabling of HTTP/2. It has to be done at the level of the Web Server. There are certain important Servers that have prior support for running HTTP/2 version. If you are having a self-owned Server, HTTP/2 libraries are required to be installed. If you are taking the hosting Services from a hosting company, you have to ask them for HTTP/2 version. When you change over your Server to HTTP/2, you can automatically enjoy a better security version. The privacy factor is also enhanced. This is due to the encryption of HTTP sites. 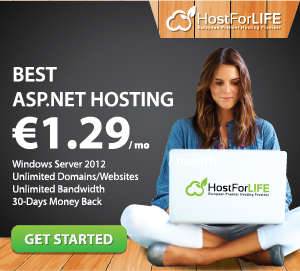 If you are not sure of how to go about with this, you can ask your hosting company for the required guidance. It is not only the security issue. If you go for the HTTP/2, you will find the Websites are functioning in much better way. As the technology is making progress, you will benefit with availing the better advanced technology. The overall feel of the use of the Web will be enhanced and your business process, if done online can become faster.